When can I refinance a car loan? Don’t feel like you can’t refinance it, if you got your car a month ago. 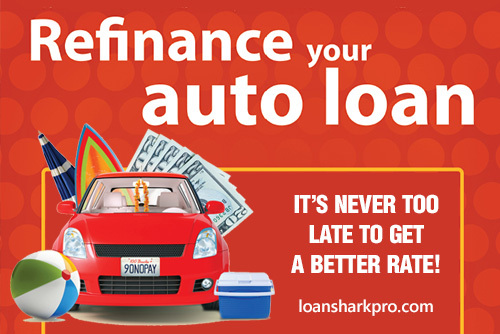 You can refinance a car loan after a year or 6 month or 3 month or one month. Does it cost money to refinance a car loan? Another thing is “How much refinancing my car is going to cost me?” For most financing organizations, for example a credit union, it doesn’t cost you anything. It is pretty easy to refinance a car loan. The credit union or the bank that you choose to move the loan to will do most of the work. So, it’s really simple and you should take advantage of the interest rates that are out there. Don’t be stuck at 5-7% or higher for your car loan. Work on your credit, build up your score and then move it somewhere, get a lower interest rate! All you need to do is go online and look at the rates that other institutions are offering around you, call them up and just say: “Look, I’ve got this loan, it’s currently at this rate, I owe this much on it, and I have this long term to finance it for, what is the best that you guys can do?” Maybe you want to shorten the term length to pay it off faster and save money in interest. Maybe all you care about is lowering the interest rate. Maybe you want to lower the interest rate, but also see if you can stretch out the term a little bit and that will bring your monthly payment down. What do I need to refinance my car loan? 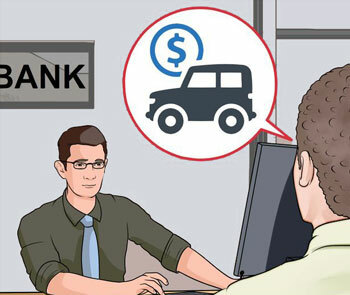 Can I refinance my car loan with a different bank? If you have to go to a different bank or credit union to get those low rates, then go there. If you’ve been at your bank or credit union for like 10 years and some new company is in to give you an even lower rate. Take advantage of it, you’ve offered them a decade worth of service. If they can’t match what some other companies are going to do, you should move it, if it’s going to save you money. Whether that’s your monthly payment or the total interest in the long run. Take advantage of this, because it’s so easy to do and you save so much money off of this. Be comfortable with doing it and take advantage of this, let us know, kind of “Hey, this is my story, I was with a financial institution A, and I moved it over to a financial institution B”. Show us what interest rates you went from, show how much money you’ve saved and spread the knowledge! Because some people stay with some place for too long, and maybe they spent 5 years paying 8% when they could have been somewhere else, paying a lot less more. Now let’s talk about a few people, we can’t share their names, can’t share the credit scores or anything like that. We’ll just talk about the dollar amounts that we moved over. The interest rate they were at previously, and what they’re at right now. Then we kind of make this a reoccurring thing just talking about the wins that we had, and how much money we can save people by just lowering our rates. All of these are the loans that we’ve done in like just two weeks. It’s not all of them. It’s just some of the ones that we chose to share. But it gives you an idea of what rate you can go through, and all of this was done over a phone call, it’s that easy to do. Person #1 owed $9,369 and they went from 7% to 1.5%! Person #2 had owed $12,000 and they went from 15% to 1.5%! Person #3 – $19,500 and they went from 4.5% to 2.2% and you may think, hey, that’s not much, 2.3% different for $19,500 – that’s going to be a big amount of savings for him! Person #4 – $20,000 they went from 25% to 3.65%. We don’t know exactly what the term linked on it was or what the monthly payment is but that’s going to be multiple thousands of dollars saved on that one. These are the success stories that people are having over here, and all it took was a phone call! Is it smart to refinance a car loan? So, look around. If you’ve got a car loan right now, look at what rate it’s at. Go online and look at what other companies around you are offering and if you can do better move it over. Just do it. It’s so easy. Even if it takes you a week to do everything. Who cares, if it saves you a couple thousands dollars? If you guys can do the math, refinance your loans and find out that you went from this percent to this percent, then you financed it for 36 months. How much money did you save? Let us know! We want everyone to be aware of how easy this is, and how much money you can save. This is not complicated stuff. It frustrates us when banks don’t tell people: “Hey, you could be doing this and save yourself this much money in the long run”. Talk to your institution, talk to other institutions, find out what the best deal that they can offer is. Take advantage of it. If any of you are able to lower your rate, comment below, share the stories! Because we want everyone to see this is possible! It wasn’t hard to do and you saved a lot of money doing it. 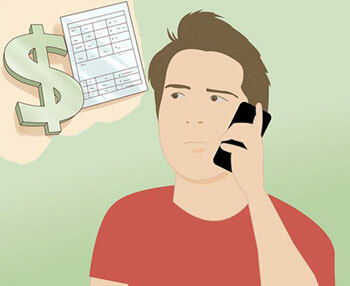 How to refinance a car loan with bad credit.